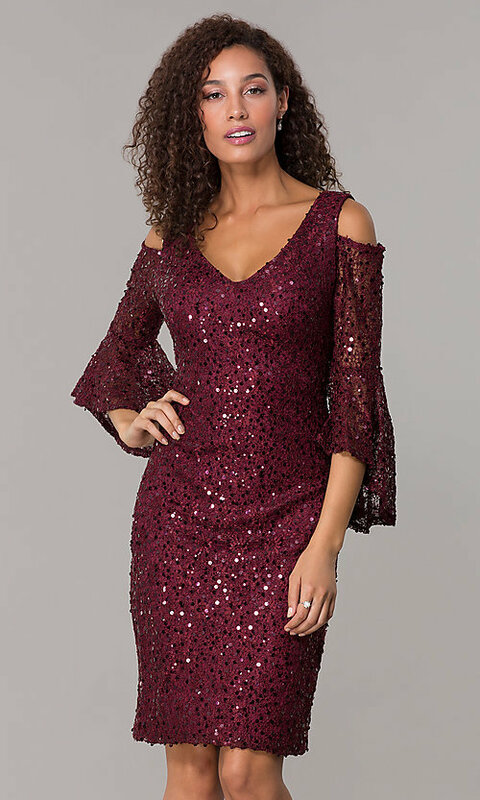 Slip into this sequin-lace short wedding-guest dress in merlot red for a seasonal wedding celebration or a holiday party. 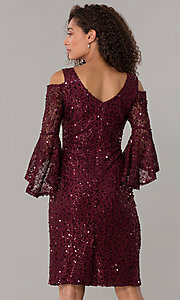 The red lace dress shimmers from neckline to hem with light-catching sequins that add subtle shine to any venue. 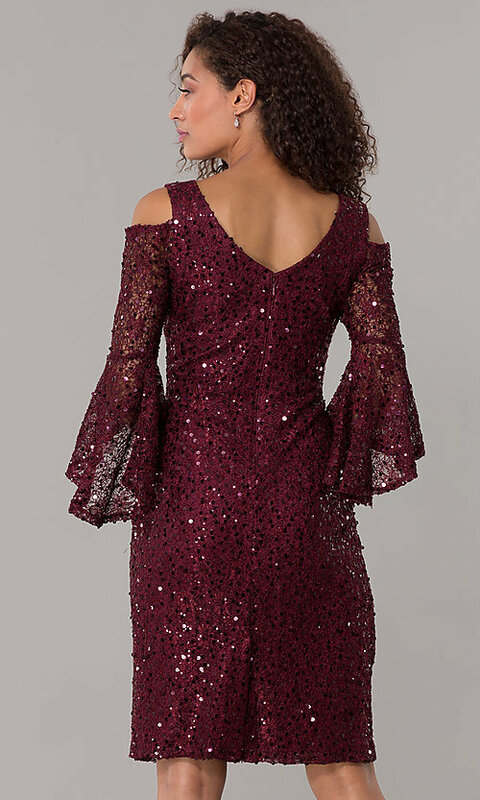 The designers at Morgan combined the classic sheath cut of this red party dress with up-to-the-minute details for a look that is sophisticated and on-point for wedding guests, mothers' of the bride, and mothers' of the groom, too. 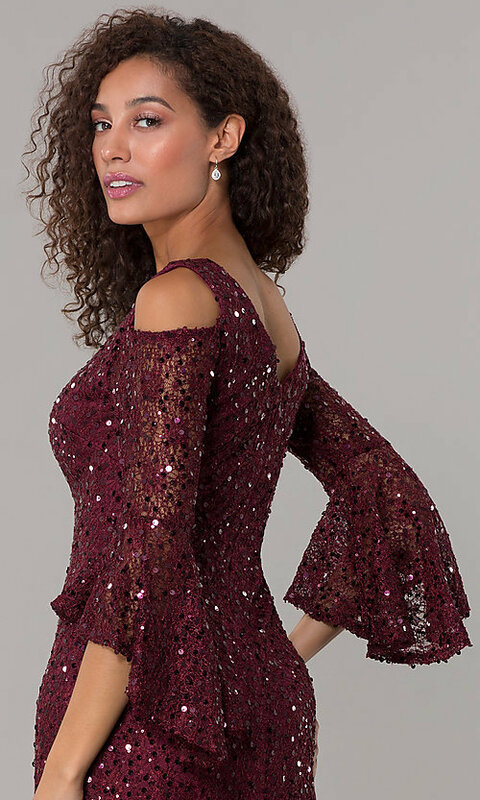 This sequin-lace red holiday party dress features three-quarter-length trumpet sleeves and a v-neck cold-shoulder bodice that is mirrored at back. Dress to impress at the ceremony and the parties to follow in this red lace wedding-guest dress under $100.